BIO: Jackie Ryan holds a PhD in history and political science from The University of Queensland, where she was an Honorary Research Fellow. 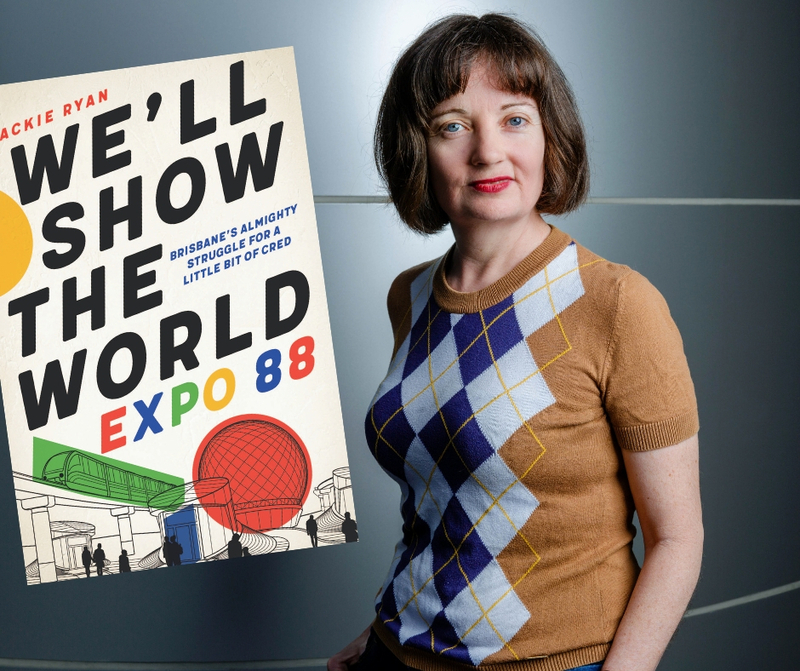 She wrote the didactic text for the Museum of Brisbane’s ‘Light Fantastic’ exhibition on Expo 88 in 2013, and has devised audiovisual material on Expo for the Southbank Corporation and the Queensland Museum. She produces the Aurealis Award-winning Burger Force comic series and founded comedy writing collective the Fanciful Fiction Auxiliary; the websites for both of these projects have been archived by the National Library of Australia as sites of cultural significance. Jackie is the programs manager at the Queensland Writers Centre. She still has her Expo season pass.